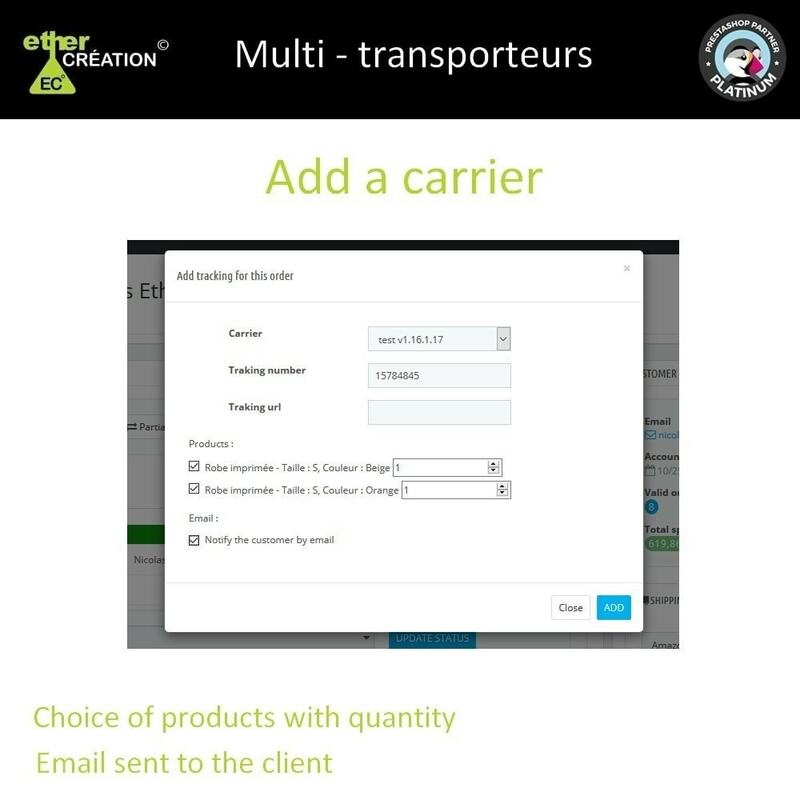 Add one or more carriers to your orders, for each added carrier you can add a tracking number as well as select the relevant products with their quantity. 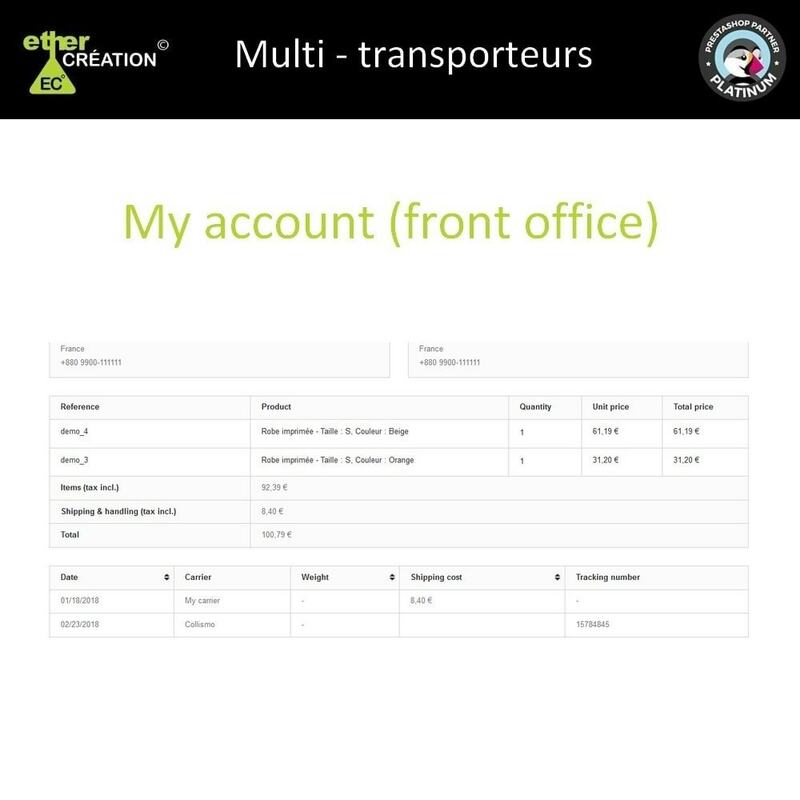 Improve delivery and tracking of your orders, easily add carriers to your orders! Ideal for multi-supplier orders and dropshipping! 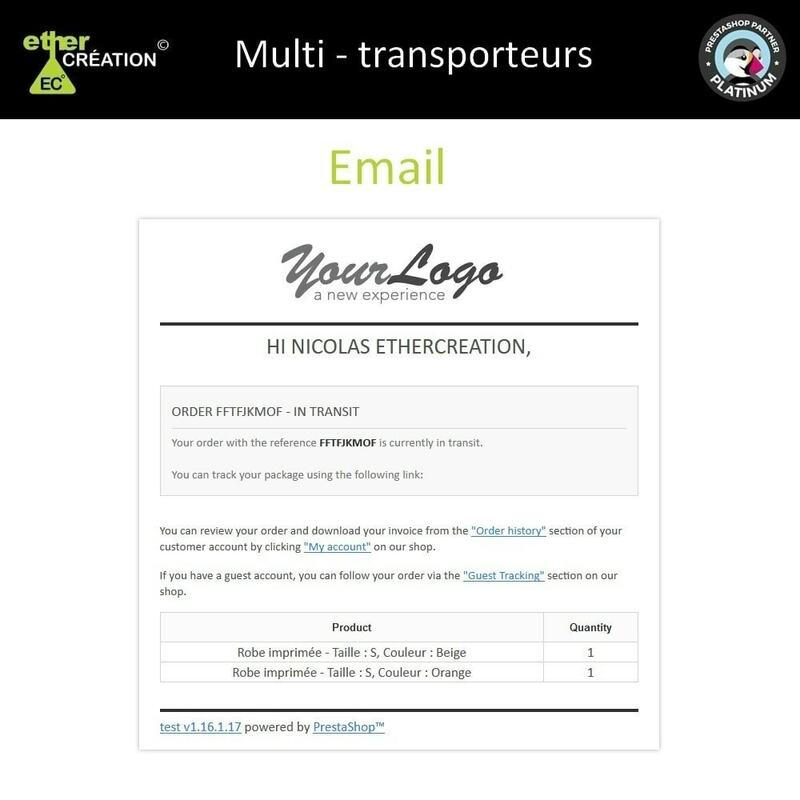 Once the carrier is added, it is possible to edit the tracking number / url or delete the carrier. 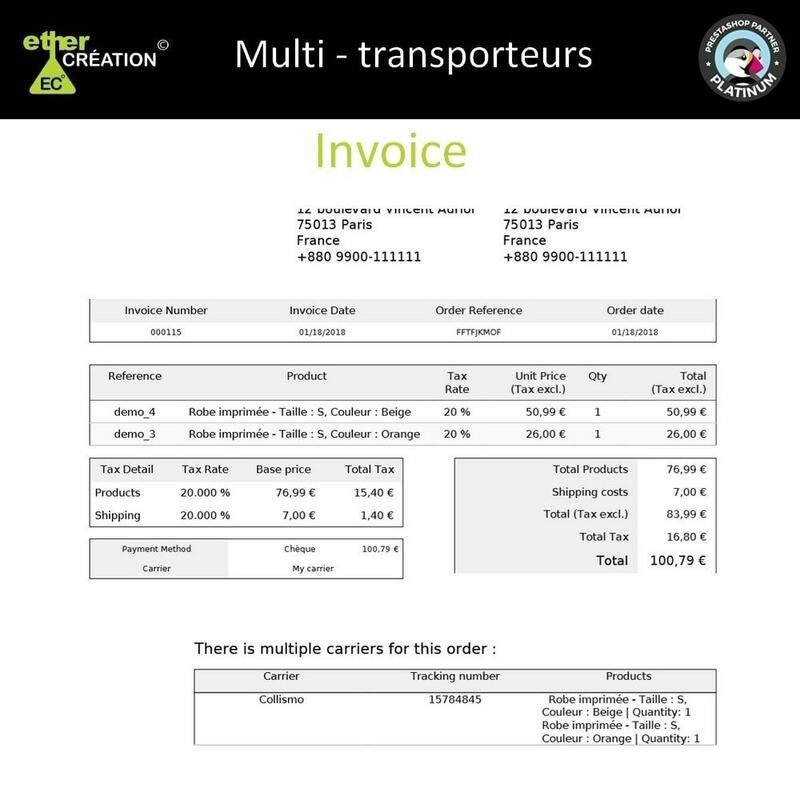 Possibility to be connected to your ERP and / or your logistics, do not hesitate to contact us. The best solution for drop-shipping logistics which allows you to send automatic e-mails to your suppliers and/or carriers when one of products is ordered on your shop.